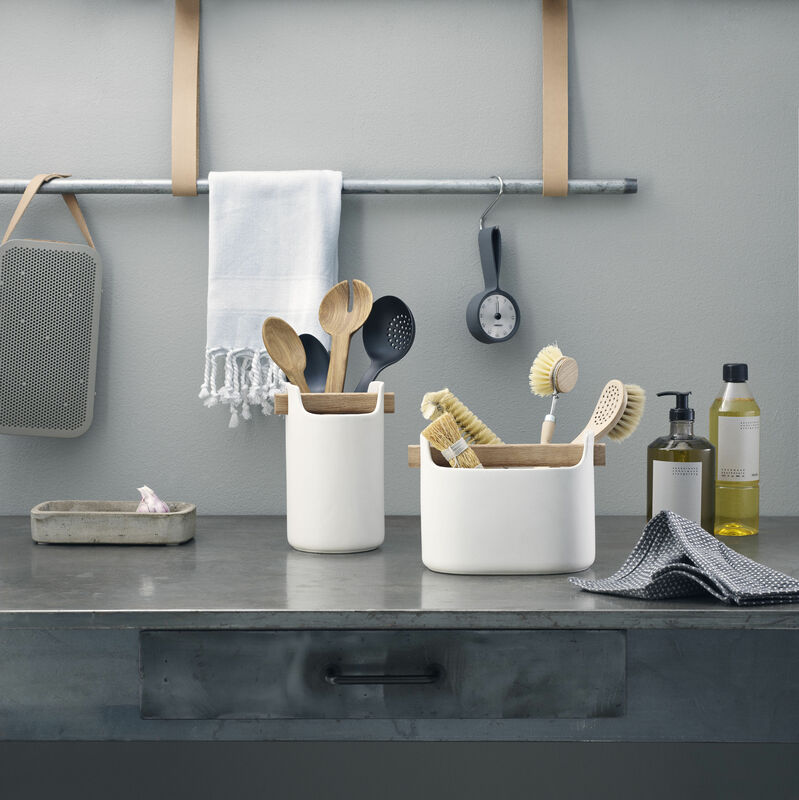 This storage will put order around the sink or on your desk. 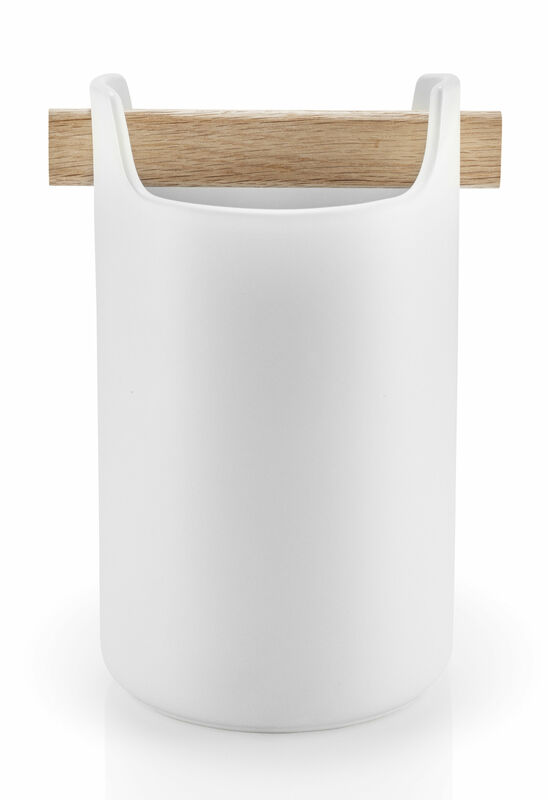 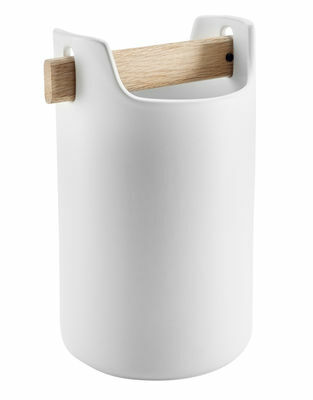 It is made of matt ceramic and oak, noble materials that bring it softness and elegance. 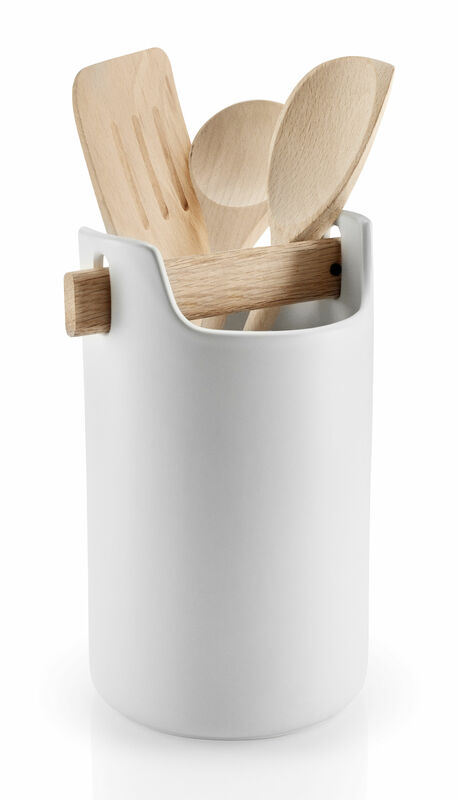 The oak handle bar can be used as a separator for cutlery, for example, or can be used to dry wet dampers.